Michael’s head of security Bill Bray retires after 25 years by his side . Wayne Nagin takes over the job. Janet & Rene go to Minneapolis to start working on the new album with Lewis & Jam but they decide to fly back to California because of the bad weather. Michael arrives in Hawaii where he is welcomed by 150 local dancers + 200 fans. He soons joins Joe & Katherine who came especially for him. Michael finishes the first leg of the History World Tour by performing 2 huge concerts at the Aloha Stadium in Honolulu . Many family members attend the show including Katherine & Joe. Michael goes to Los Angeles & Montreux ( Switzerland ) to complete work on the album Blood On The Dance Floor. Katherine’s father, Prince Scruse, dies at the age of 90 years old. Michael goes resting at Disneyland Paris with Frank. He changes his management team by replacing Sandy Gallin with Tarak Ben Ammar from Kingdon Entertainment. Michael goes to a courtroom in Rome (Italia) to testify that he didn’t steal Will You Be There from ITalian artist Al Bano. Michael shoots the video of Blood On The Dance Floor in Los Angeles . Birth of Prince Michael Joseph Jackson Jr, first child of Michael & Debbie at the Cedar Sinai Medical Center of Los Angeles. Michael attends the birth and then takes his son to Neverland. Grace Rwaramba and Pia Bhatti are hired as Prince’s nannies. Pia move to Neverland her husband and their kids Shasta & Omer. Michael organises a Jackson Family Day at Neverland to introduce his new born to the clan. Janet who is in studio in Minneapolis can’t attend the party. Michael goes to Marbella where he receives a special award from Sony Music. British magazine OK gets a world exclusive by publishing the first ever official pictures of MIchael & Debbie with their son Prince (at Neverland) accompanied by a candid interview of the couple. The Blood On The Dance Floor video is premiered on VH1. Michael arrives in Disneyland Paris with Grace & Prince where he rehearses for the History Tour. Michael attends the innauguration of his wax statue by french artist Mime Marceau at the Musée Grevin in Paris . He is accompanied by his new Manager Tarak Ben Ammar. Michael & Tarak Ben Ammar attend a press conference for the Histoy Tour at the Munich stadium in Germany. Michael vists his former tour promoter Marcel Avram in a Munich jail. Michael flies to Cleveland ( Ohio ) to be inducted in the Rock & Roll Hall Of Fame in a special Presentation wih His bothers by Diana Ross & Berry Gordy! Joe, Katherine & Barry Gibb are also prsent at the event. Michael flies back to Europe to attend a midnight private presentation his his Ghosts short film at the Cannes Film Festival with Stan Winston & Tarak Ben Ammar among others. The album Blood On The Dance Floor is released worldwide. Michael goes to to study a project of amusement park for Kingdom Entertainment. Michael arrives in Bremen ( Germany ) with Tarak Ben Ammar and they attend a press conference. Prince Michael Jr is taken to a Paris hotel suit with his nannies so that his daddy can join him after each concert of the European tour. Debbie also flies every week end to spend time with Michael & their son. Michael kicks off the Europen leg of the History Tour with in Bremen . Michael attends the 30th anniversary of Phantasialand in Germant before flying to Milano to perform a concert. The stormy six-year marriage of singer LaToya Jackson and manager Jack Gordon is officially over. Jackson was granted her divorce Tuesday in Clark County Family Court. Katherine, Joe, Randy, Jackie, Tito & Jermaine attend the first day of court to support LaToya and they also visit her Las Vehas home. Officially divorced from Jack Gordon, LaToya reconciles with the Jackson family. Janet is presented with an award from the Spelman College . While a pregnant Debbie returns to L.A , Michael goes to London where he is joined by his ex wife LIsa Marie! The single History/Ghost is released in Europe . Janet & Rene offer a special preview of 4 songs from the new album during a fan meeting. Janet & Rene attend Wanya Morris Birthday Party. Janet completes the recording of the Velvet Rope album. She auditions the new Kids which include Tina, Shawnette, Kelly, Nikki and a 17 years old dancer named Gil Duldulao who will eventually become Janet’s choreographer and best friend. Janet shoots the video for Got Til It’s Gone directed by Mark Romance. The single Got Til It’s Gone is released to radios. Concert in Copenhagen on Michael 39th birthday. A huge cake is presented to him on stage! 9 years after leaving for New York with Jack Gordon, LaToya visits Hayvenhurst and reconnects with the family. After hearing the tragic death of his friend Princess Diana, Michael cancels his concert in Ostend . Michael finally performs in Ostend and dedicates the concert to Lady Di. Janet & Rene attend a listening party of The Velvet Rope in NYC with many celebrities in attendance including Lisa Marie Presley who makes a cameo on one of the interludes. The video for “Got Til It’s Gone” is premiered on MTV. Janet presents an award to Mark Romanek during the MTV Video Music Awards in NYC. Maya Angelou presents Janet with the Lena Horne Awards during the Soul Train Lady Of Soul Awards (with Katherine, Rene & Jimmy Jan in the audience) in Santa Monica. Last concert of the European tour in Valladolid . Michael gives an interview for US TV show 20/20 with Barbara Walters from his Parisian hotel. The interview is aired a few days later on ABC. 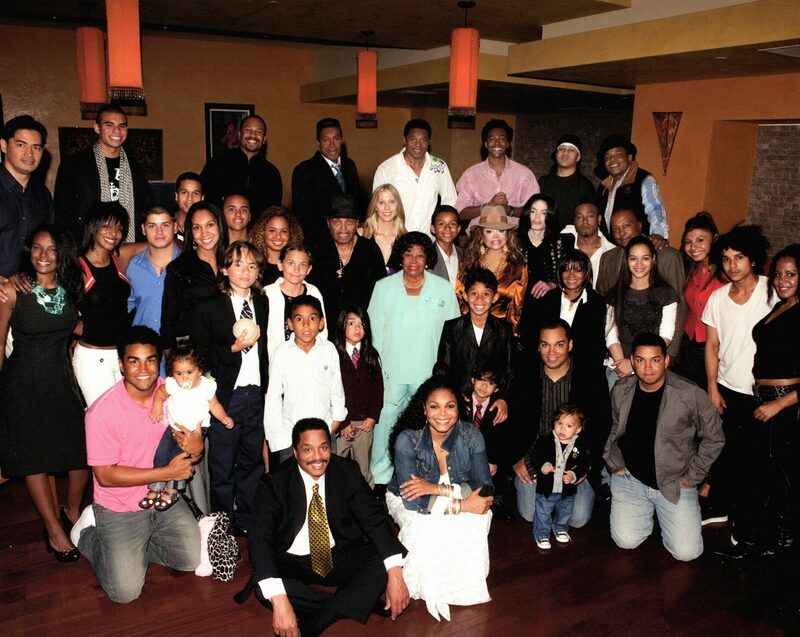 Michael returns to Neverland with Grace & Prince Michael Jr.
Janet & Rene attend a Velvet Rope Listening Party in Culver City with Katherine & the 3T among others. Michael attends a public service for Diana in a Los Angeles church. Janet, Rene & the Kids arrive in London. Janet unveils her wax statue at the Rock Circus and later she tapes two performances of GTIG for Top Of The Pops. Janet, Rene & the Kids attend a Velvet Rope Listening Party in London. “Got Til It’s Gone” is released as the 1st single from ” The Velvet Rope”. In Paris Janet & the Kids perform GTIG at Graines de Star. Janet is a guest on french TV show Nulles Part Ailleurs. Michael arrives in Cap, with Omer Bhatti. Janet gives a interview to French radio NRJ. At night, she attends a Velvet Rope Listening Party at the Budha Bar with Rene & the Kids. Janet & her entourage fly back to NYC. Michael performs 2 concerts in Cap attended by Nelson Mandela among others. The Velvet Rope album is released in Europe. Janet gives an interview to Bill Bellamy live from Times Square on MTV Live. The Velvet Rope album is released in the US. Janet makes a CD signing at the Virgin magastore of Times Square. Michael is best man at his friend Gerry Inzerillo ‘s wedding to Prudence Salomon. Michael is made honorary member of a tribe in Phoheng. His parents Joe & Katherine & his ex wife Lisa Marie attend the event. Michael Leaves Africa and Return to Neverland with Omer Bhatti. Dr Sasaki performs surgery on Michael to reduce the width of his scar on the scalp. Janet goes to Chicago with Rene & the Kids to tape an interview on the Oprah Winfrey Show. She also performs “Got Til It’s Gone” & “Together Again”. 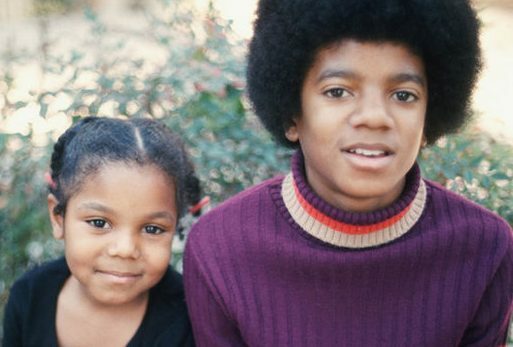 During the interview Janet reveals that she has not seen not spoken to Michael since december 1995. LaToya is a guest on the RuPaul Show on VH1 where she speaks for the first time of her reconcilation with the family. Michael & Prince Michael Jr are on the cover of LIFE magazine with a special photo story at Neverland. Debbie Rowe Jackson gives an interview to KNBC in Neverland where she denies tabloid rumors of an affair between Michael & Lisa Marie & announce that she is pregnant with a baby girl that she & Michael want to name Paris MIchael Katherine. Sony cancels the release of History’s last single Smile even though Michael shot a video for the song where he imitates Charlie Chaplin. A box set is released containing the Ghost short film on VHS + the unreleased song On The Line from the movie soundtrack Get On The Bus. “Together Again” is released as the 2n single from “The Velvet Rope”. Janet, Rene & the Kids go to Europe to perform the song on many shows including Top Of The Pops in London, & Hit Machine in Paris. Michael visits british boxer Prince Naseem at a gymnasium in New York . While in New York , he meets Puff Daddy to speak of a possible collaboration together.